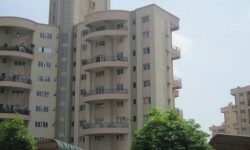 Home buyers can now directly approach the National Consumer Disputes Redressal Commission against developers by forming a registered association. The Supreme Court decision also marks significance since it would remove multiplicity of cases for state and national consumer forums. The order also gives home owners a respite from the Rs 1 crore limit, which prevents them from approaching the NCDRC directly. The Modi government may be looking to rollback or tweak a Budget announcement, imposing long-term capital gains (LTCG) tax on holders of Esops (employee stock ownership plan) and private equity investors. In the Budget, the government had introduced a provision whereby anyone who acquired shares in unlisted companies before October 1, 2004, and had not paid securities transaction tax (STT) will be liable to pay 10 per cent LTCG tax. In a big setback to realty developer Unitech, the Supreme Court in an interim order directed the company to pay fine at the rate of 14 per cent per year on the principal amount paid by 39 homebuyers of its Gurgaon's Vistas project for the delay in delivery. 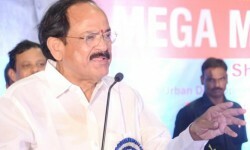 Union Minister of Urban Development, Housing and Urban Poverty Alleviation M Venkaiah Naidu said not a single proposal has come from private developers under Pradhan Mantri Awas Yojana (Urban) and urged developers to rise to the occasion and take up affordable housing in a big way.